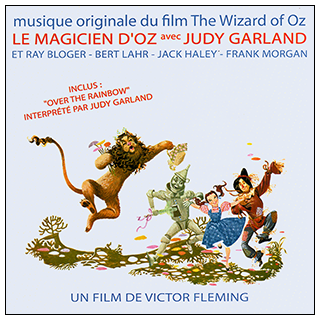 This 2010 French CD version features fun artwork from the 1960's MGM Records LP version. This makes sense, as this version is a transfer of the MGM Records abridged edition of the soundtrack. Unfortunately, the sound is slightly faster than it should be. Listening to this is like rushing through the film on "fast forward." Image on this page from the collection of Scott Brogan.